Our glass dome outdoor rooms create a design statement for your garden whilst delivering a multi-purpose environment for living and growing. 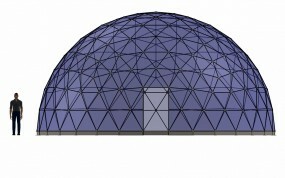 Geodesic domes have natural natural strength and aerodynamics. 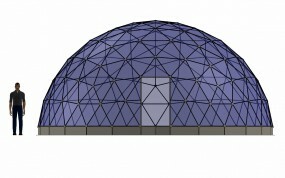 In addition, our domes are constructed from corrosion resistant and rot proof materials meaning that only minimal maintenance is required. They come with 4mm toughened glass, base level ventilation, mechanical window winder units and a secure inward opening conservatory-style door. Mill finished aluminium is used for the frame and all of our external components are polyester powder-coated, exterior grade aluminium. Do you have a grand design? For bigger projects, our SOLARDOME® PRO architectural system is perfect for larger developments from 7.2m – 25m in diameter. 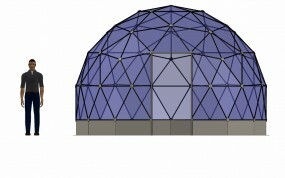 More about the SOLARDOME® PRO. If you have a any questions regarding our domes, or require further help an advise please call us or visit our Frequently Asked Questions page. 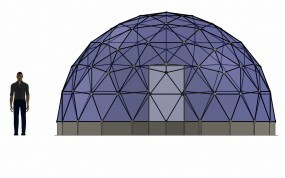 There are five domes in the SOLARDOME® outdoor living range. 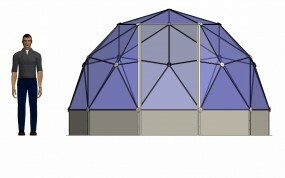 Makes an ideal luxury greenhouse, providing the best possible under glass environment for nurturing and raising plants. Makes a lovely conservatory-sized room providing ample space for a garden sunroom or to cover a spa pool. Provides a large outdoor room ideal for a Mediterranean garden, outdoor dining, or for yoga and relaxation. A tall dome with enough height for tall citrus trees and palms, creating a tropical gardening oasis on your doorstep. The largest of our glasshouses and makes a stunning orangerie or tropical palm house. It is also an ideal height to accommodate a mezzanine level. 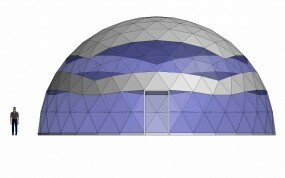 Fully bespoke, our SOLARDOME® PRO architectural system offers an impressive alternative design to traditional buildings – for dome projects 10m – 25m diameter.